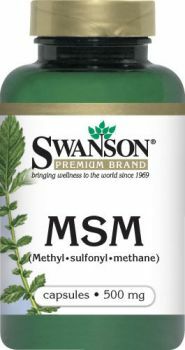 Swanson MSM is a biologically active form of theessential mineral sulphur which constitutes a vital tissue nutrient. It is of particular importance for maintaining bone and joint health, as well as beautifulhair, flawless skin and strong nails. Other ingredients: Gelatine, rice flour, magnesium stearate. Directions for Use: As a dietary supplement, take two capsules three times daily with water. • A valuable ingredient for healthy tissues, skin and more. • An organic form of sulfur, an essential mineral. 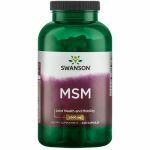 • Includes TruFlex MSM, a strong biological ingredient distilled to attain perfect purity.